The Australian Open begins in less than a month and it’s still unclear whether defending champion Serena Williams will be playing in it. Despite eager assurances from the tournament director that the 23-time grand slam champion will indeed make her historic post-baby comeback at the tournament she won last year while two-months pregnant, Williams is also being advertised as the keynote speaker for a conference in Florida that runs from January 21-24. That’s right in the middle of the tournament. So, either Serena Williams is not playing in the Australian Open but is teasing her return by posting un-captioned tennis court photos on social media (like this one from yesterday) to keep up appearances for her fans, and more importantly for her sponsors; or Serena Williams is playing but thinks she won’t make it past the early rounds and therefore felt comfortable committing to speak at the conference, although it seems unlikely that this kind of defeatist thought would cross any pro athlete’s mind, much less hers. 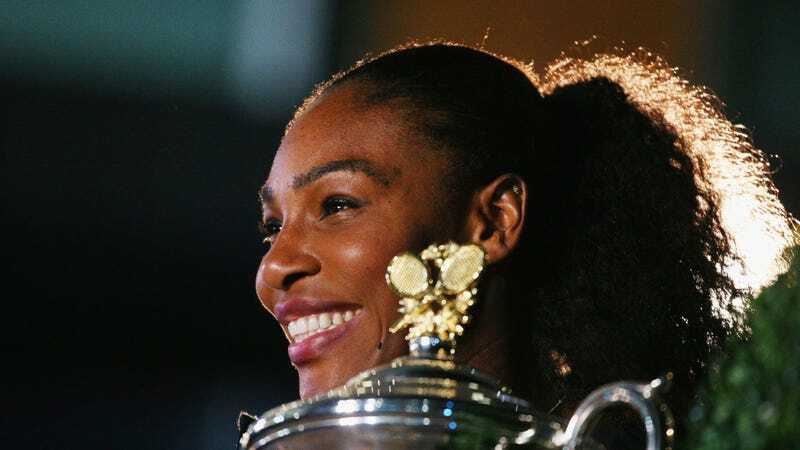 Or Serena is playing and has no qualms bailing on the conference because she’s Serena Williams and she can do whatever she wants (I emailed the conference organizers to see who the backup keynote speaker might be if Williams can’t attend and I’ll update if I hear back). So: it’s one of those or she is really not sure if she’s going to play yet and is therefore preparing contingency plans for both scenarios.